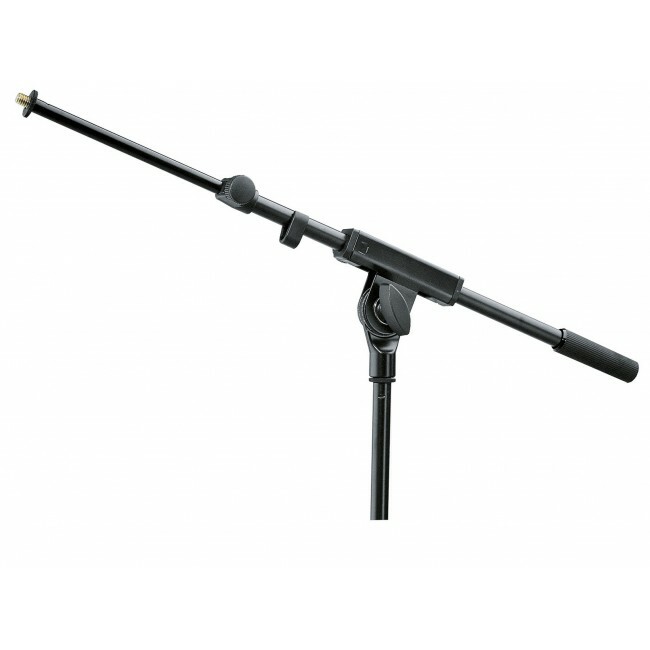 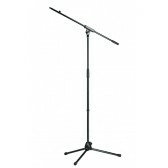 A low profile round based mic stand with a telescopic boom arm. 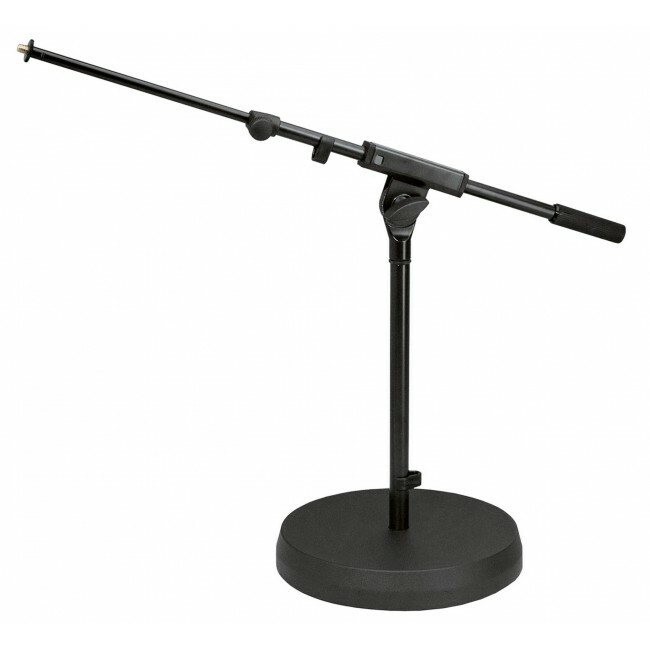 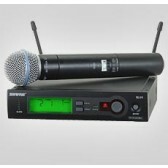 Perfect for use in offices or with drums and other acoustic instruments. 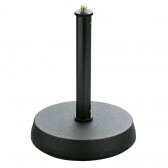 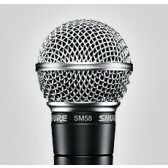 Includes a heavy cast-iron round base, with anti-vibration rubber insert for noise filtration.